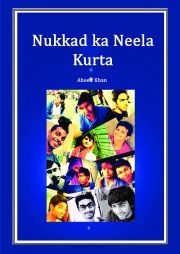 Description of "Nukkad ka Neela kurta"
The book is a story of how a group of teenagers-inexperienced and new to the system were able to live up to their own expectations and to those of others while they also managed the immense pressures of studying in a medical college. The author is a medical student from Delhi who believes that there is a great propensity for memories to fade away with time. However if one wants to save, preserve and cherish them, nothing could be more appropriate than writing them down so that they will stay with those whom you love even after you leave this world. Reviews of "Nukkad ka Neela kurta"